Seller: majida4 (3,388) 100%, Location: Tucson, Arizona, Ships to: US & many other countries, Item: 372615567554 NEW softcover. 1999, 342 pages. No one thought that Ubar, the most fabled city of ancient Arabia, would ever be found-if it even existed. 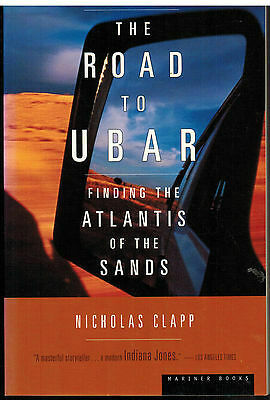 Buried in the desert without a trace, it had become known as "the Altantis of the Sands." Many had searched for Ubar, including Lawrence of Arabia. Then in the 1980's, Nicholas Clapp, a documentary filmmaker and amateur archaeologist, stumbled on the legend of the lost city while poring over historical manuscripts. Filled with overwhelming curiosity, he led two expeditions to Arabia with a team that included NASA space scientists, archaeologists, and geologists. 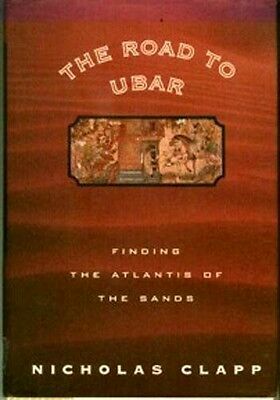 The discovery of Ubar was front-page news across the world and was heralded by Time as one of three major scientific events of 1992. Condition: New softcover. Popularity - 5 views, 0.1 views per day, 53 days on eBay. Good amount of views. 0 sold, 1 available. 5 views, 0.1 views per day, 53 days on eBay. Good amount of views. 0 sold, 1 available. Seller - 3,388+ items sold. 0% negative feedback. Top-Rated Seller! Ships on time with tracking, 0 problems with past sales. 3,388+ items sold. 0% negative feedback. Top-Rated Seller! Ships on time with tracking, 0 problems with past sales.